There are so many things to do in Australia and if exploring our fabulous local bars is one of your priorities then Sydney has its fair share of traditional Australian pubs, particularly dotted down George Street in The Rocks. The Bar scene in Sydney is changing however and the city is now dominated by speakeasy whiskey bars and Ale Houses. Enjoy small intimate gatherings of like minded people at “blink and you will miss the entrance” hole in the walls. Here are some of my favourite Sydney watering holes that you can include on your next vacation to Australia. 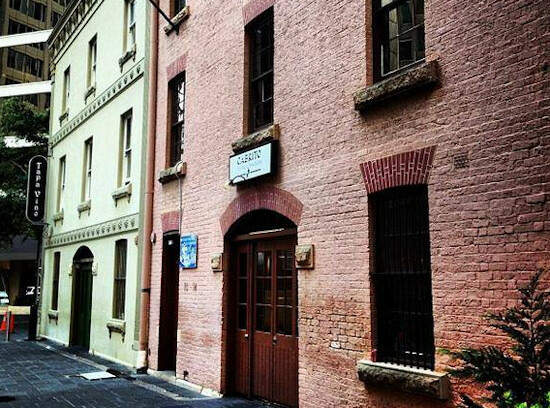 Endeavour Tap Room is located in Argyle Street, in the heart of The Rocks precinct. 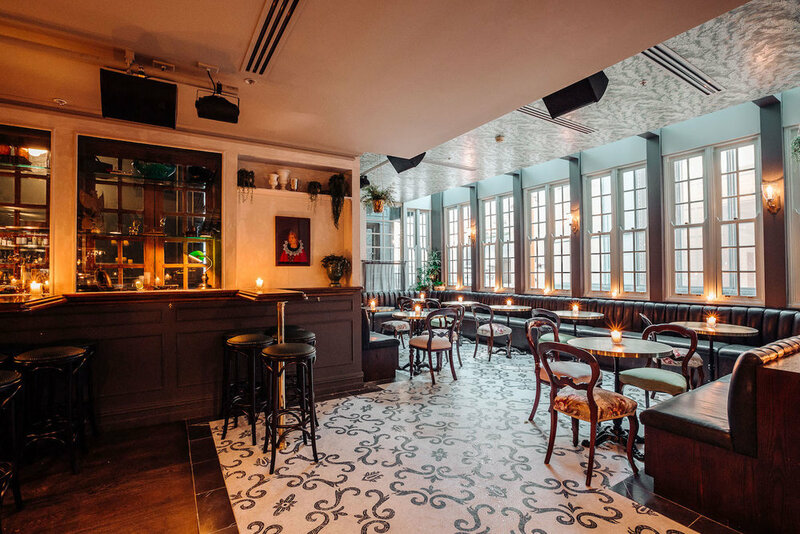 Beautifully attired and situated within a Victorian Era heritage building, the Endeavour successfully navigates between traditional and hipster genres. The beers are brewed in house and 8 of their best are readily available icy cold on tap. Others can be requested. Between tastings check out their brewing techniques. The large stainless steel Vats are situated behind glass walls. They have a great selection of house wines as well as a tasty menu, including the extremely popular Brewers Banquet. New to the Sydney Bar Scene is The Kittyhawke. 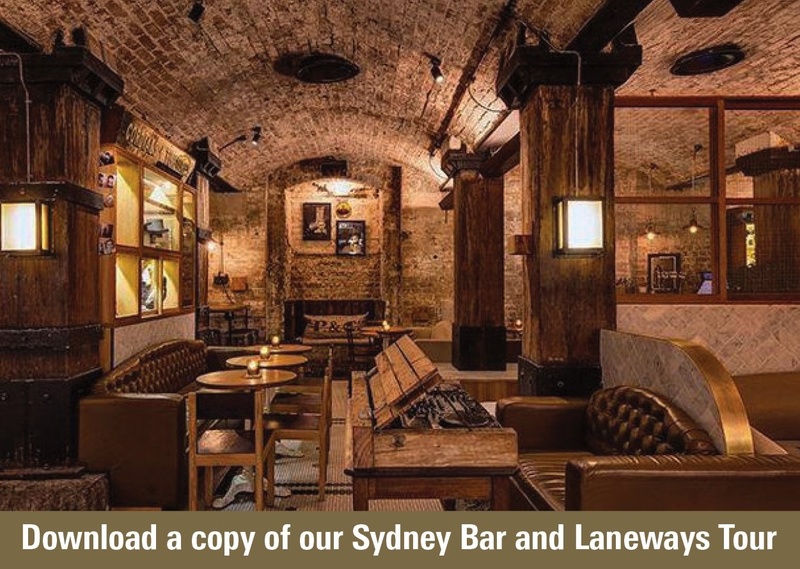 Located at 16 Phillip Lane in Sydney’s financial precinct, Kittyhawk is a cocktail bar and restaurant focused on great cocktails and food and exceptional experiences. The venue is designed around the Liberation of Paris in 1944 and brings together an old world charm with a modern and delicious French restaurant menu and comprehensive beverage offering, including cocktails, a full wine list, bottled and draught beer and – of course – champagne! 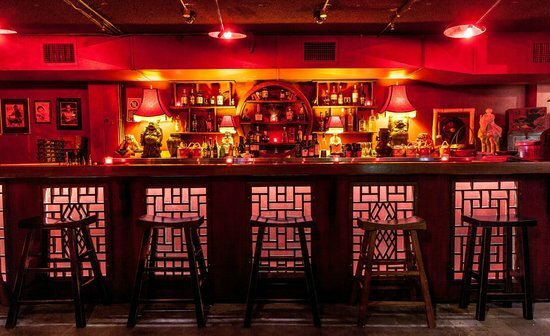 Uncle Ming’s is an opium den inspired cocktail, whisky and dumpling bar – a celebration of Asia. Located in the basement at 55 York Street is Uncle Mings. Legend has it that Uncle Ming was one of Shanghai’s most notorious figures – a sweet potato vendor who began a life of crime as a policeman collecting protection money from local opium traders. Having to leave China, Uncle Ming settled in Sydney in the 1920’s and set up a place for the local community to meet and have a drink. Uncle Ming’s cocktail list is an extensive mix of classics and Asian inspired cocktails. Their whiskeys are rare and unique and the beer list has been carefully selected to showcase the best of Asian brewing. Feeling hungry, snack on their extensive range of delectable Chinese dumplings. On the first Level at 10 to 14 Bulletin Place, is Bulletin Place. This hard to find, “shoe-box sized” 45-seater room is one of Australia’s most awarded bars and recognised globally for the quality of drinks, friendly team and casual vibe. Their uniquely Australian Cocktail list focuses on best available produce at the time so changes every 2 weeks. So the menu is always fresh and vibrant. Along with their Australian only beers and wine list you are guaranteed a wonderful Australian experience. One of my all time favourites and always great fun is Palmer and Co. An underground prohibition-style bar, celebrating a time when booze was banned, yet free-flowing. Located in a very non descript doorway in Abercrombie Lane underneath the city streets, (blink and you will miss is it) upon entering Palmer & Co. you could be in another place and time and the atmosphere is electric, with regular sets of live music setting the mood of refined debauchery. Black and white photographs adorn the walls and everywhere you look there are details that hark back to yesteryear. The drinks menu is focussed on cocktails and spirits with a great selection of beers on tap as well.